Any avid gambler will tell you that it’s not easy to make money at a casino. Generally speaking, professional poker and blackjack players tend to have the most fluent success, but it appears taking the unlawful route proved highly lucrative for three suspects who spent the last three years drugging patrons of the San Manuel Casino in Highlands, California before robbing them of their money. 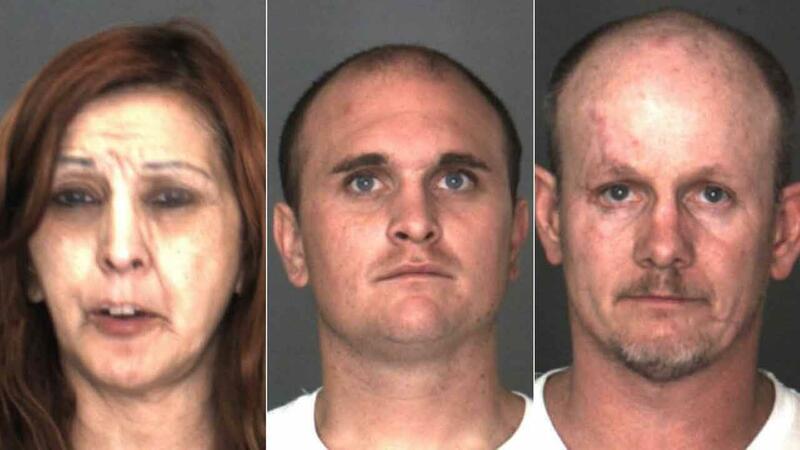 The San Bernardino County Sheriff’s Department finally caught up with three individuals last week who they say were befriending gamblers at the casino before poisoning their drinks and robbing them. Authorities allege that the trio has been performing their dastardly deeds at the California tribal casino since as far back as 2012. Leading the pack of suspected culprits is Esperanza Maldonado, a 52 year old Hispanic woman from Hesperia, CA. 41 year old Eddie Lee Chapman, also of Hesperia, and 27 year old Cameron Dollar of Rancho Cucamonga, were also taken into custody in connection with the crimes. According to police reports, the illicit escapades began on April 5, 2012, when Maldonado and Dollar acted together to drug and rob a 66 year old gambler. The victim lost conciseness at the casino, and it wasn’t until he awoke and found his pockets empty that he reported the incident to the staff. Upon observing the surveillance video from that night, footage showed Maldonado talking with the victim shortly before he fell unconscious, then leaving the casino before he woke up. Dollar was accused of being the “look-out” for during the robbery. When Esperanza returned to the San Manuel Casino a few days later, she was immediately arrested and issued a 1-year ban from the casino. Jump forward to November 8, 2014, when authorities claim that Maldonado was up to her old tricks again. That evening, a 48 year old patron was found lying unconscious on the casino floor. The victim could not recall what had happened; only that he had been drinking a beer and talking with a Hispanic woman shortly before passing out. He told police that he left to use the restroom, and when he returned, his beer tasted “different”. A few sips later, he ended his conversation with the woman and went to play the slot machines, where he lost consciousness. Afterwards, the victim told casino officials that he felt fine, so they let him drive home. Unfortunately, he passed out again while driving on the freeway, crashed into a concrete barrier and was taken to the hospital. Police arrived at the casino to review the video surveillance, and a familiar face appeared on the screen. Police say the footage showed Maldonado removing a small vial from her bra and pouring the contents into the victim’s drink. Just weeks later, on November 28, authorities were informed of another incident at the California casino. This time, a 74 year old patron was the target. He told police that he had been speaking with a Hispanic woman who “roofied and robbed” him. Another trip to the video surveillance room revealed Chapman holding the unconscious victim up while Maldonado removed cash and a cell phone from his pockets. Cameron Dollar was arrested on December 3rd on suspicion of conspiracy to commit willful poisoning and theft. Deputies with the San Bernardino County Sheriff’s Department attempted to serve a search warrant at the home of Esperanza Maldonado and Eddie Lee Chapman in the 8300 block of Madera Ave in Hesperia, CA on December 4, but the residence was empty at the time. The duo managed to elude authorities until last Thursday, when both were arrested at their home. All three suspects are now residing in county jail until arraignment.